I don't want to respond to this. The church has had enough of public spats between ministers on blogs and social media. But I can't let this one go. So I'm going to respond. But not with the anger and sadness that I feel over these horrific and inaccurate insults. I could write half a book outlining how each assumption he made about small churches is wrong. But I won't. Instead, I'll say this. You're a brother in Christ who has blessed me through your teachings. And you're a fellow pastor who has blessed so many other pastors. But you're wrong on this. 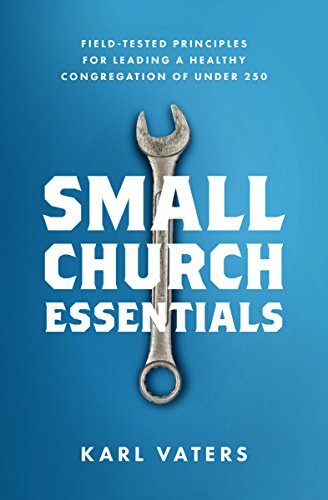 You're wrong to insult your fellow churches, pastors, church members and yes, the millions of young people all over the world who love the small churches they choose to attend. I don't want you standing against me. And I won't stand against you. So, even though you have insulted so many of us, I say this. You spoke ignorantly. I've been there, too. You're not a hurtful person. But those were hurtful statements. You've wounded some of the hardest-working, godliest, most committed servants I know. I want to lash out. But I won't. Instead, I'll reach out. I want to lash out. But I won't. I invite you to have a conversation about this subject. With me, or with a group of small church pastors like me. I invite you to visit the small church I pastor. I invite you to meet the wonderful teens who not only choose to attend our small church (many without their parents), but you'll see them voluntarily sit in the front row during the main worship service, play and sing on our worship team, teach our children, greet newcomers, worship with abandon and help stack chairs when we're finished. And I invite you to meet with the college students who don’t realize that, according to your statement, they should want to attend big churches when they leave for college. Come meet these students who have found a home-away-from-home in our small church because we love them, welcome them, and provide them with opportunities to serve that they may not have access to in the big churches.